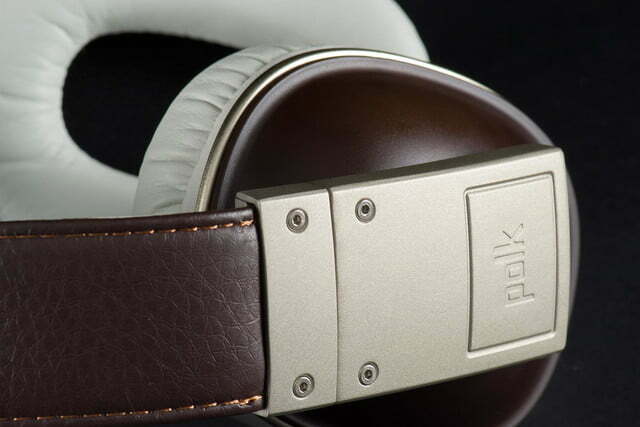 Matching laidback style and sound with rich definition, and plenty of power, the Buckle are a welcome addition to the mid-tier over-ear headphone genre. 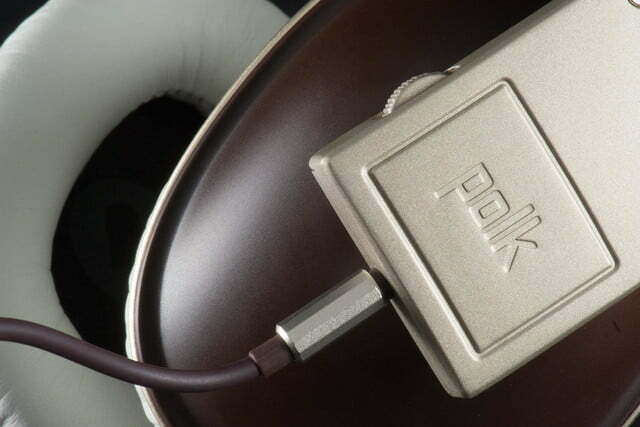 Polk Audio’s latest addition to the super-saturated market of over-ear headphones, the Buckle, may sound like a pilgrim-themed throwback to the days of our forefathers, but they’re actually another offering in the company’s Heritage Collection. The series of stripped-down products illustrates Polk’s calculated focus on rustic style with a minimalist twist. The Buckle seem to live up to their name stylistically, brandishing a sheath of worn leather across the headband, a muted color scheme, and thick cuts of matte-finished metal. On Polk’s website, the Buckle are framed next to a whiskey flask, a passport, and even a compass on a leather cord, looking ready to accompany you on some TinTin-esque steamship adventure. But the $200 ‘phones also boast some modern conveniences, including an innovative iOS control system and microphone built right into the frame. We recently took the Buckle on our own adventure, discovering in the process just how well they fared when travelling beyond the aesthetic landscape, and into the real world of modern audio. The un-boxing experience you get from the Buckle falls somewhat awkwardly betwee between premium and budget-brand packaging. Opening the faux-wooden box (oddly, from the bottom by design) we discovered the headphones cupped in a thin layer of biodegradable packing foam. We tugged on the ‘phones to discover little plastic bonds that made it a bit of a chore to remove them. 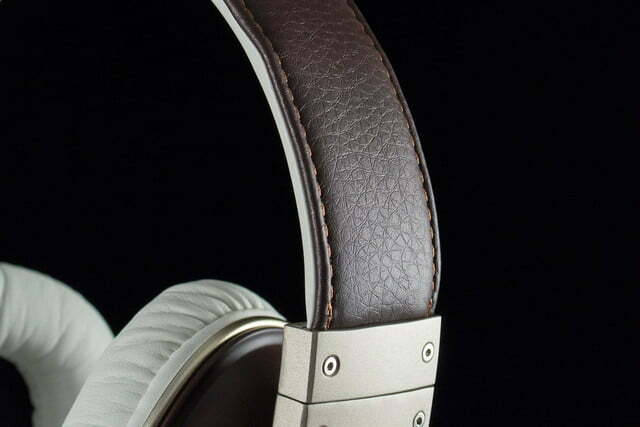 Once released, we discovered heaps of soft white leather along the interior, conveying that new-headphone smell. 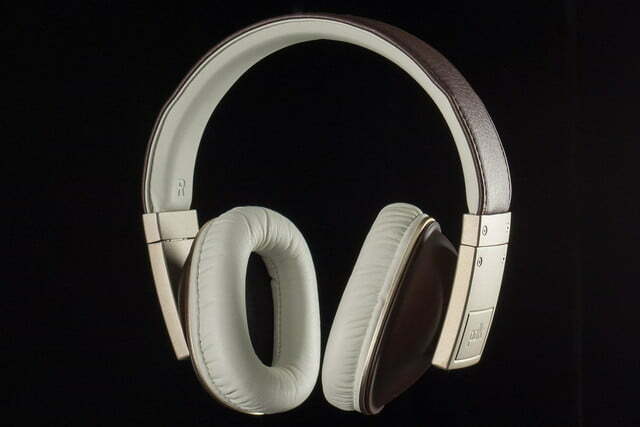 The headband’s exterior was also leather-clad, this time with a textured coat of brown. At the ends of the band our fingers met heavy-gauge metal arms, supporting turtle-shell style ear cups set back at an angle. Unlike many new headphones we evaluate, we were a little surprised to find the Buckle’s ear cups do not collapse inward for more compact travel. 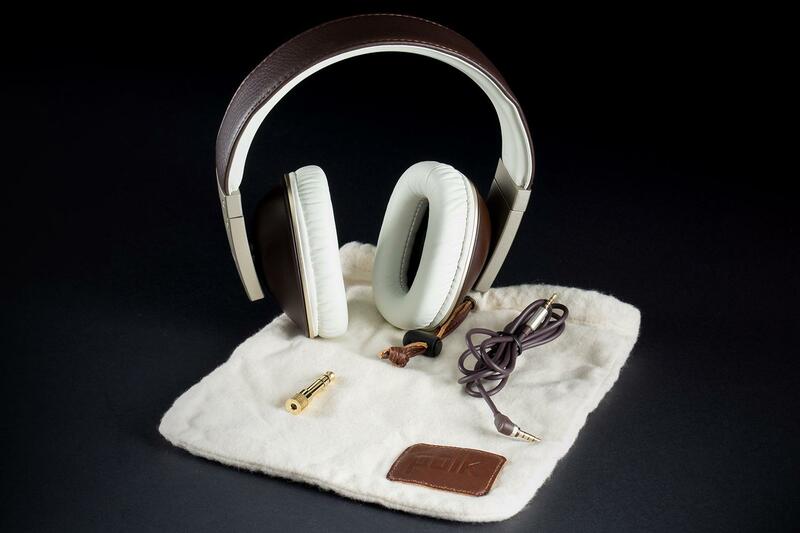 Also in the box was a small collection of accessories including a felt tote bag, a removable brown headphone cable, a gold ¼-inch adapter, and a packet of instructional material. While the Buckle come in a more classic color scheme of black on silver, our brown and white version offers a little more personality, slightly reminiscent of a pair of Doc Martins – whether or not that’s a good thing is a matter of taste, though we prefer a more traditional look. The construction feels pretty solid overall, especially with those thick hunks of metal, but the premium feel is slightly interrupted by the plastic on the exterior of the earcups, which feels a little cheap. 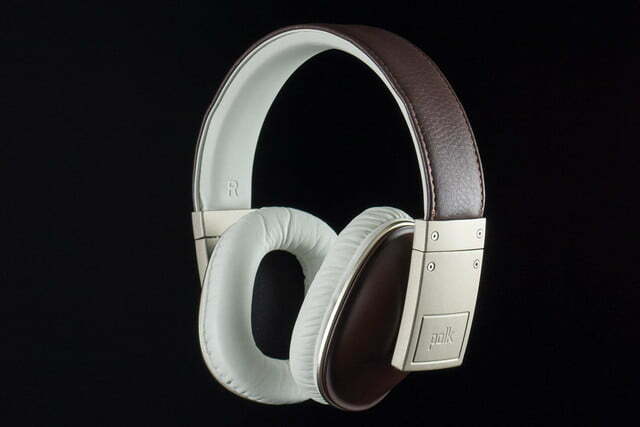 … we discovered heaps of soft white leather along the interior, imparting that new-headphone smell. 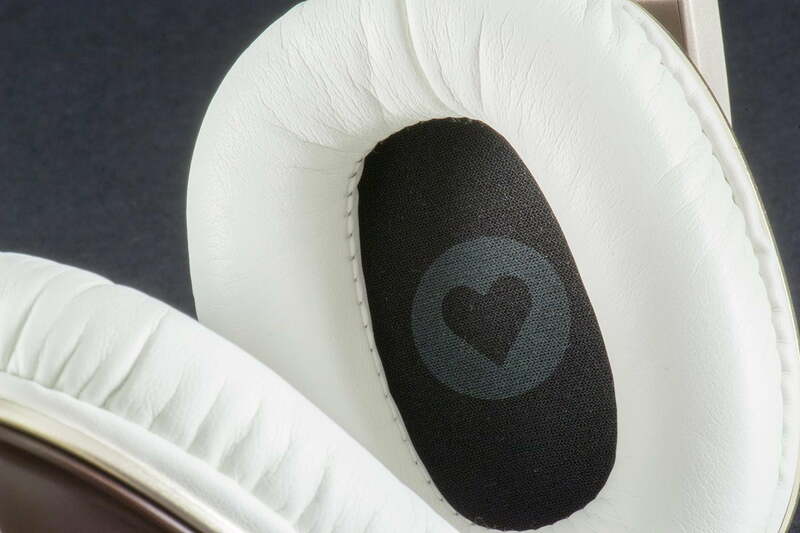 The ear cups are mounted to the headband’s metal arms along rotating vertices, which begrudgingly allow the cups to move 360 degrees along their angled perch. Inside each cup is a heavy layer of padding, encircling black screens that cover the Buckle’s 40mm dynamic drivers. 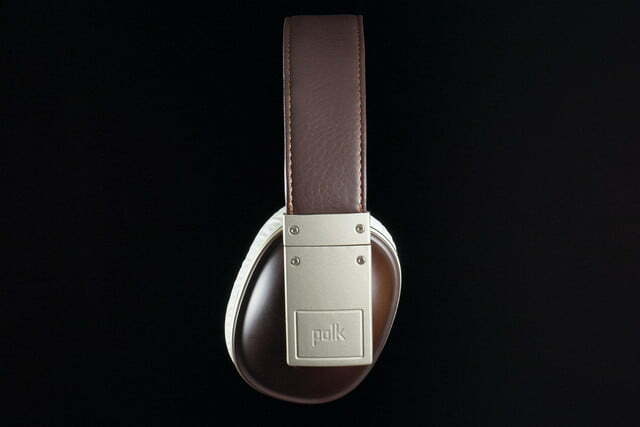 The drivers have a 24 Ohm impedance level, with an impressive claimed frequency range of 10Hz to 21.5kHz. Keep that lower boundary in mind for the performance section later. The Buckle’s most unique feature is its built-in iOS control dial and microphone. 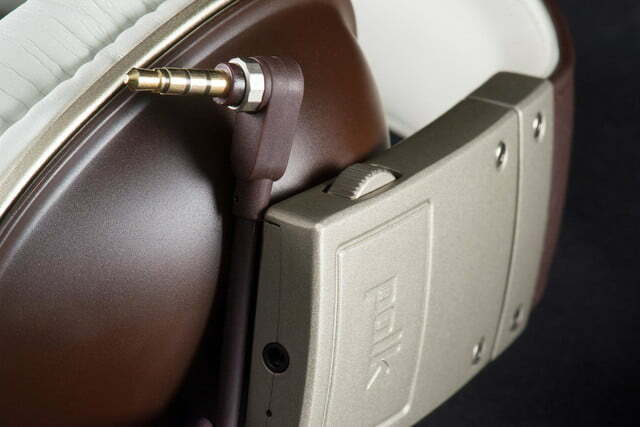 The system is embedded in the metal arm that holds the right earpiece, and works quite well – once you stop trying to locate in on the actual ear cup, that is. The dial moves up and down against slight resistance for incremental volume control, and clicking it allows you to play/pause, answer calls, and navigate back and forth between songs in the typical iOS fashion. 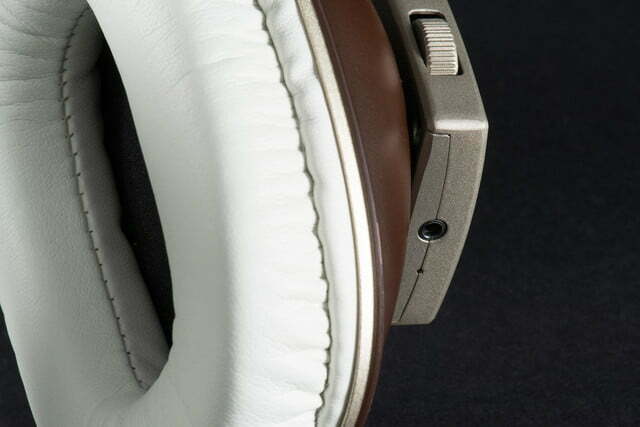 The pinpoint microphone sits at the bottom of the arm, next to a 2.5mm headphone cable input. The cable itself is 48-inches long, and terminates with gold-plated jacks, the far end of which is set at a 90-degree angle. 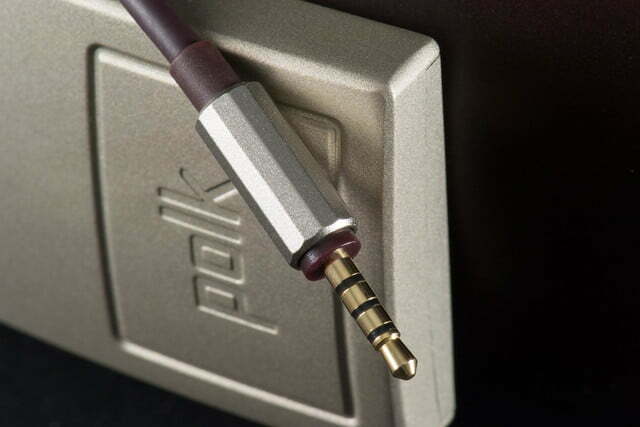 Etched accents of silver around the jacks give the cable some elegant cache. 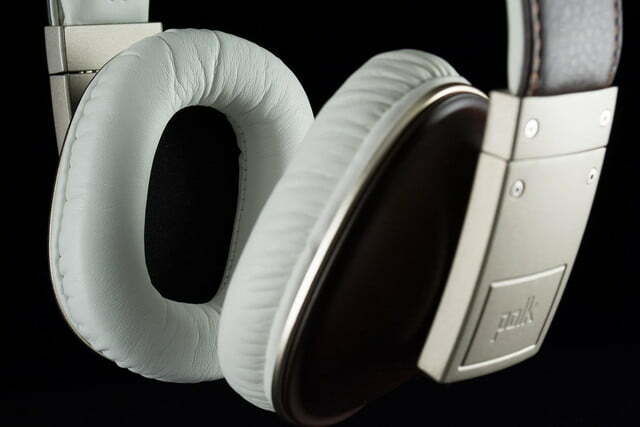 The Buckle hold up fairly well over extended usage periods thanks to the plush padding along the ear cups. That said, we found the clamping pressure a tad tight for our taste. We also found ourselves wishing for a bit more padding up top during our longest listening sessions. 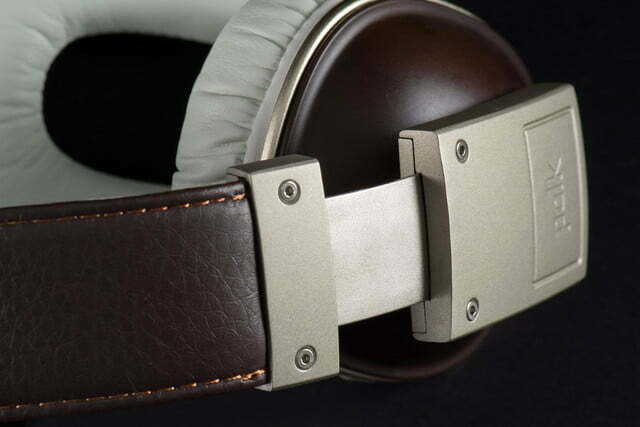 Setting off the Buckle’s carefully-crafted aesthetic is an equally stylized sound signature. The frequency response is highly sculpted, sanding down the treble to a smooth, dull finish, and accentuating the bass and lower midrange frequencies to create a dark and chocolate-y color. Even so, the Buckle also leave a lot of room for instrumental detail, especially notable in the far-flung perimeters of the stereo channels, providing plenty of punch with no audible distortion. 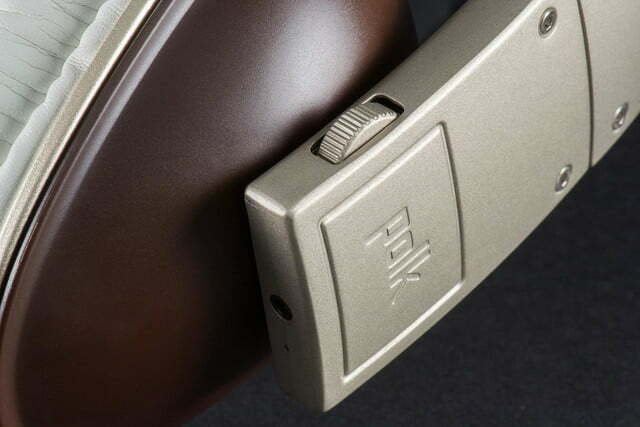 Setting off the Buckle’s carefully-crafted aesthetic is an equally stylized sound signature. 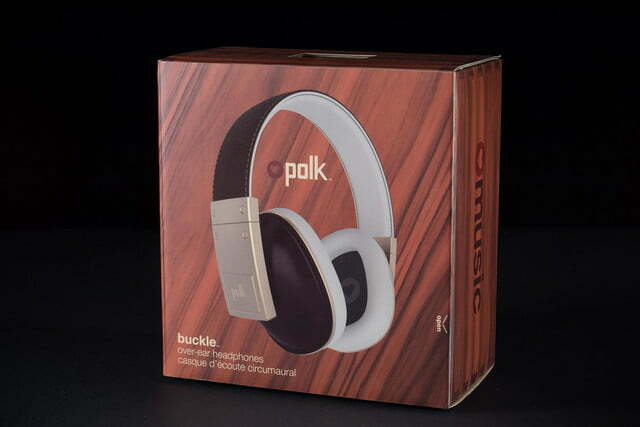 In today’s Beats-driven headphone market, it’s not surprising that the Buckle give a lot of attention to the bass. These babies got down into the deep layers with some impressive authority during our evaluation. However, the lower frequencies were handled well, with a full yet rigid response that brought some welcome gravity to hip-hop and electronic tracks. Despite the Buckle’s focus down below, and to our delight, there were only a few moments in which we thought the low end was overdone. The Buckle handled one of our go-to test tracks, Nickel Creek’s “Reason’s Why,” with judicious distribution of the heavy stand-up bass, which can get out of hand quickly on headphones with poor balance. In defiance of their highly rolled-off treble response, the phones also conveyed string clicks from the tune’s mandolin and acoustic guitar with a sweet, golden touch, unearthing the attacks of the instruments from the darker layers of the sound like artifacts on an archeological dig. We were less impressed with the lazy upper register, however, when it came to the shimmering clips of hi-hats and snare, which were often too laid back, reducing the energy of the percussion, and therefore the whole of many tracks. The soft touch was great for super-hot productions, like Van Halen’s aptly named “House of Pain.” But under normal conditions, some instruments tended to get a little buried up top, especially when layered in the center of the image where a lot of the lower frequencies are directed. Still, brushing those issues aside, we were continually impressed with the Buckle’s rich and versatile color palette, digging into the deeper marrow of sawtooth synthesizers, crafting detailed images of resonant percussion hits, and recreating the ruddy tones of electric guitars with impressive definition. For $200, there’s a lot to like about this sound signature. 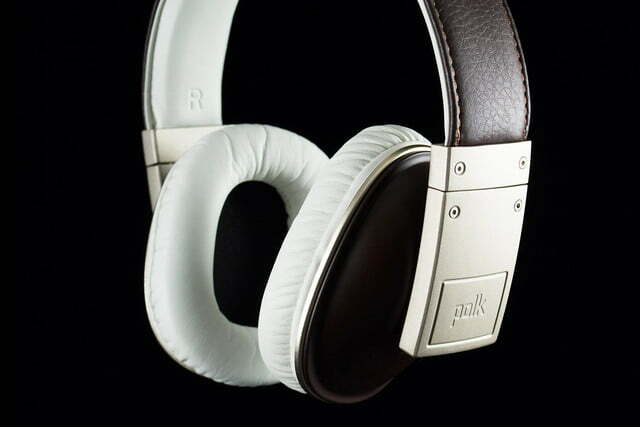 Matching laidback style and sound with rich definition and plenty of power, the Buckle are a welcome addition to the mid-tier over-ear headphone genre. 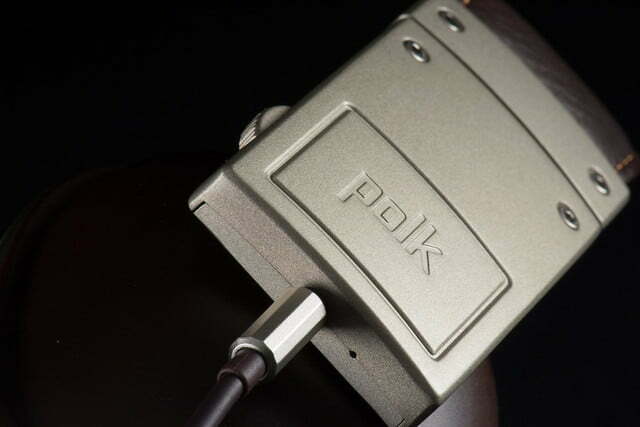 We think their $250 suggested MSRP is a tad high, but at their current online cost of $200, Polk Audio’s Buckle are an enticing choice in a very competitive marketplace.